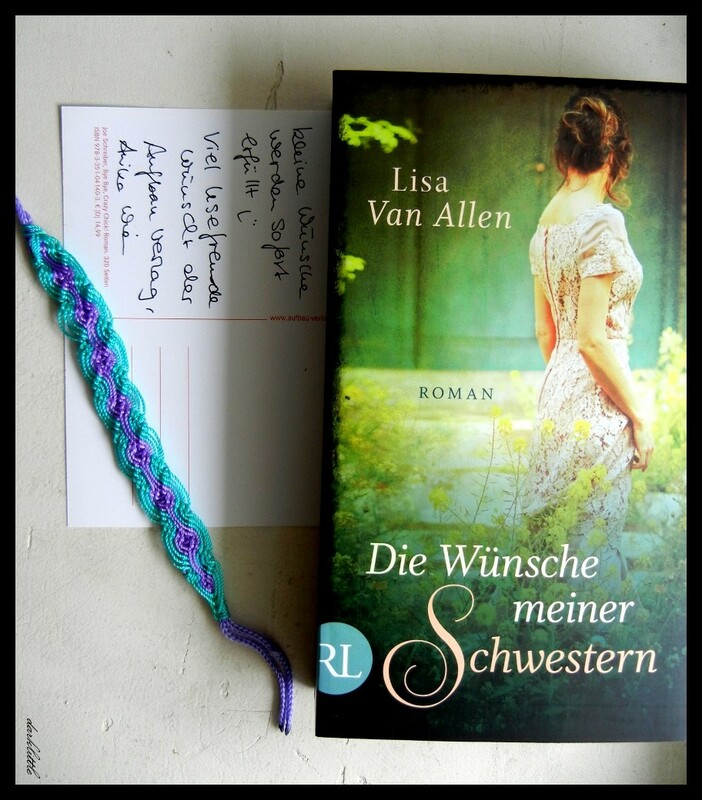 It’s me again 🙂 I’m back with my review of Lisa Van Allen‘s The Wishing Thread. As I’ve told you before, I got a German-language copy for a book discussion at Lovelybooks. Aufbau Verlag even added a matching bracelet :). It is very important to know that I read the German translation of the book because I’m going to say something about the writing style in my review and I am well aware that the writing style can change through translation. I also had a quick look at the fist 30 pages of the English original and they read better than the German version. The Wishing Thread is mainly set in 21st century Tarrytown, a city south of Sleepy Hollow and north of Manhattan. Lisa Van Allen’s writing style is very descriptive and she uses a metaphorical language to describe the setting. I particularly liked the stitchery. Even though it is described as an old, rundown house, it has its charm. In the German translation, the writing style and the time the book is set in clashed. The writing style made me think of a setting in the 19th century. This stiff language seemed outdated to me and every time there was an indication of the 21st century (e.g. a mobile phone), I was shocked like a time traveler. What didn’t help either, was the German cover that (in my opinion) also suggests a historical setting. There are quite a lot of important characters in this book. The main character, however, is Aubrey. She’s the guardian of the stitchery and she’s a tad old-fashioned. She was easy to identify with at the beginning of the book. The further I read on, the harder it got to identify with a young woman who grew up in the 20th century and thought like an oppressed and naive woman from the 19th century. In one scene, I also felt like this about her sister Bitty. Apart from this problem with Aubrey, the other characters were nicely crafted. I really liked Aubrey’s niece Nessa, who made the story more lively. The bit I read about aunt Mariah was great, because Mariah radiates warmth and comfort. I also enjoyed Mason Boss. From the second he entered the stage… I can’t tell you more. But I like how he was written to life. The Wishing Thread is a creative and unique story. It’s a story about family bonds. Magic plays a minor role in this book just like the love story. If you are a knitter, you’re in for a treat. Knitting is a big topic and all the chapter headings involve knitting terms that somehow relate to the content of the chapters if you have the time to think about them (at least that’s what I think). There’s another treat for knitters, but I don’t want to tell you too much. 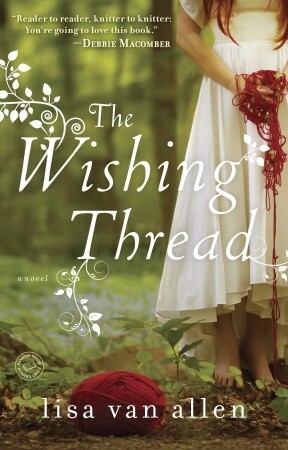 In my opinion, The Wishing Thread is a light and entertaining read for people who like to read stories about families and knitting. Pingback: The Wishing Thread by Lisa Van Allen (Review) | My Life. One Story at a Time.